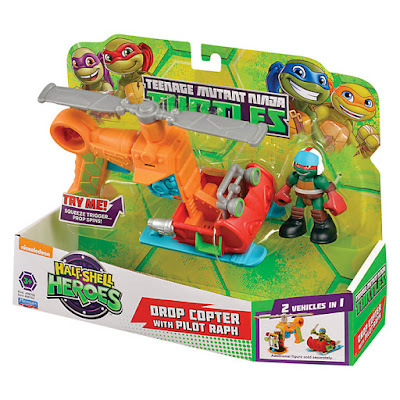 WIN #54: Teenage Mutant Ninja Turtles Half-Shell Heroes - Drop Copter With Pilot Ralph! The Teenage Mutant Ninja Turtles are coming out of their shells for the very first time, the Half-Shell Heroes are ready for non-stop Ninja adventure! 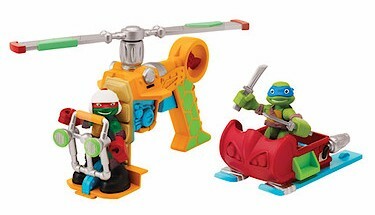 You can join the fun-loving turtle brothers in their pizza-fuelled missions as they team up to mess with menacing mutants and stop the Shredder. 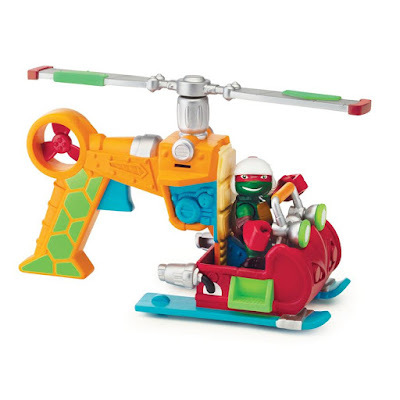 Young heroes will enjoy recreating Turtle adventures or inventing their own - controlling the action as imaginations soar in a world of heroes and mutants, adversaries and allies. It's a new adventure every time you play. Turtle Power! You can collect the entire world of Half-Shell Heroes! This collection has brighter colours and less-menacing expressions so is perfect for a younger age. You can collect the entire world of Half-Shell Heroes. Press the motor to separate vehicles. With four vehicles to collect (each sold separately). Brighter colours and less-menacing expressions for a younger age. Press the motor to separate vehicles. Please note: You must at least follow or like Unique Young Mum and Flair on at least one social media platform! To find out more about Flair, and to view their full range of products, check out the official website here.